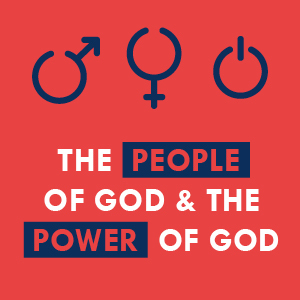 God's people are meant to demonstrate God's power. In this series we'll be looking at the story of Elisha, a prophet in the Old Testament whose life shows us what this can look like. This story teaches us that God delivers His people from the darkest of situations and He uses the least likely people to share His story. Elisha’s immediate response to God’s call is a great example to us of how to respond in a life-changing moment. The cost was high but God demands nothing less than wholehearted followers. Living the Christian life is impossible without the power of God, but God is willing and able to give us exactly what we need: His Holy Spirit. God will always provide for you when you entrust yourself to Him. The story of a widow in serious debt demonstrates this amazing truth that God can always be trusted. God calls us to radically alter our lives to make room for Him. By giving everything to God and trusting Him completely, we leave space for Him to do amazing things. God sometimes use the most unusual-seeming stories to tell us the most important thing we can ever know: that He is a God who saves. Matthew looked at four characters in this story and how they responded very differently to the situations they found themselves in. God isn't just a God who sees everything; He opens our eyes so that we might see things as they truly are. The judgement of God gives us great hope for a future free from injustice, cruelty, and oppression. Knowing and trusting God is the most satisfying thing a human soul can experience.